A new artist for us here at CML. Here is a new artist to us here at CML. I’m always curious about what’s going on down in the Texas music scene. They seem to have so many sub genres and different styles going on at the same time. And there always seems to be some underling influence of traditional country music. It’s not always cowboy music. It’s not always anything. It’s just unique and interesting with almost always a little influence from traditional country. Here is the new one from Parker McCollum. This was the most popular song right now from Parker’s new album according to streams on Spotify. I think it’s a song that’s about the road. These artists are really out there grinding on the road. Trying to get in front of crowds and trying to make some money. I’m sure many times they’re going into debt while they’re on the road. It’s amazing that they can put out new music today. But we live in a great time in music history. Artists can distribute their music right to the fans. In this song it really seems sad. I think it’s a guy that’s fighting with two things he loves. A woman and music. He knows that he needs to be on the road. He needs music. Without it he can’t breathe. But he also loves her. But things aren’t working out and the two things he loves aren’t going to work well together. It’s a sad song, but a good one. I like it more and more the more I listen. 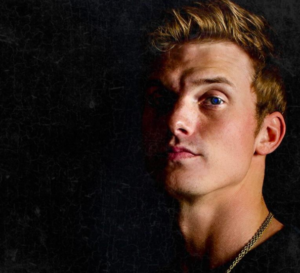 Are you a Parker McCollum fan?